Smoby BBQ Grill With Accessory Set Playset Just $23.99! Down From $40! 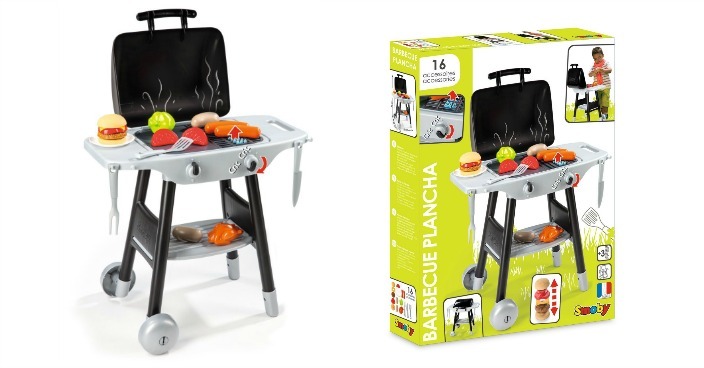 You are here: Home / Great Deals / Smoby BBQ Grill With Accessory Set Playset Just $23.99! Down From $40! Amazon has this Smoby BBQ Grill With Accessory Set Playset on sale for $23.99 (Reg. $40)! Summer is back, it’s time to grill delicious meals!. Kids can grill indoors or take the set outside and grill just like mom and dad. Turn the button and see flames appear! A grill side and a griddle side, to fit with every tastes. Includes 5 vegetables, 1 Hamburger and bun, 2 sausages, 1 chicken, 2 Kitchen utensils.